Have you ever wondered what your favorite celebrities would want for their birthday? How about what's on their wishlist this coming Christmas? 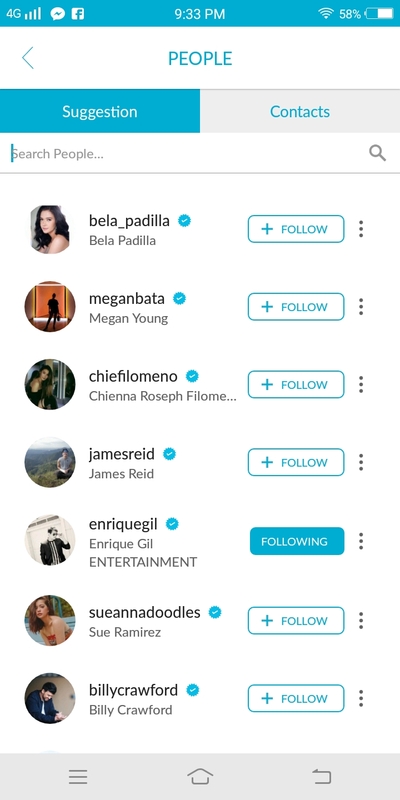 And it's not just for celebs, you and your family and friends can also post everything every heart desires through the "Things I Like App. Yes, now there is an app where one can exclusively post what they want as gifts or a goal. It can be like a dreamboard of what you want to achieve in terms of material things. Have you spotted your favorites? Go check them out by downloading the app available on both Apple Store and Google Play Store. So maybe you might be wondering what's special about this App? How does it work? Ok I will try to explain it the best way I can so here goes. 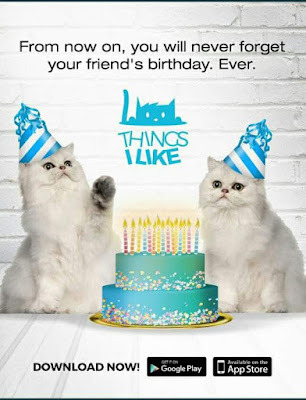 Example a friend or family will be celebrating a special occassion, thinking of a perfect gift to give can be crazy. 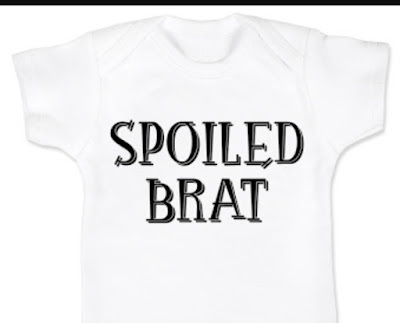 Of course you want to be sure that you'll be giving something that they really like, useful for them and not another duplicate gift. 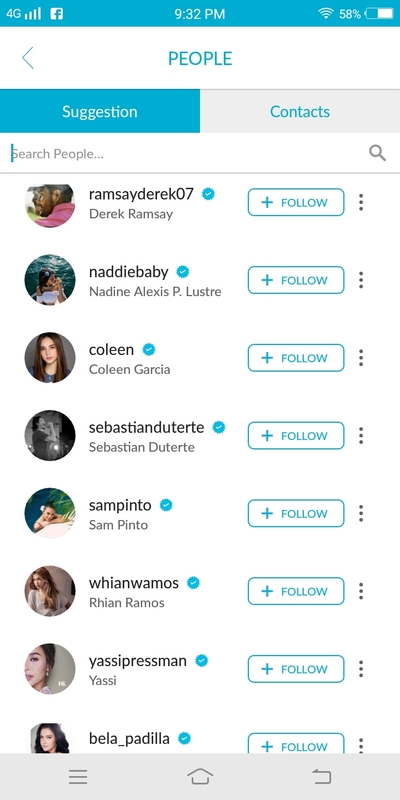 No need to fret because if most of us will be using the app, you can now go ahead and check their profile and know exactly what they like. You can now browse through the items in their page, you can check out direct links of the products so you would know where it can be bought. Let's say you won't see each other anytime soon and you just want to send a gift. There is a tab in the app wherein you can request for the shipping address of the person. Am I making sense here? Lol! 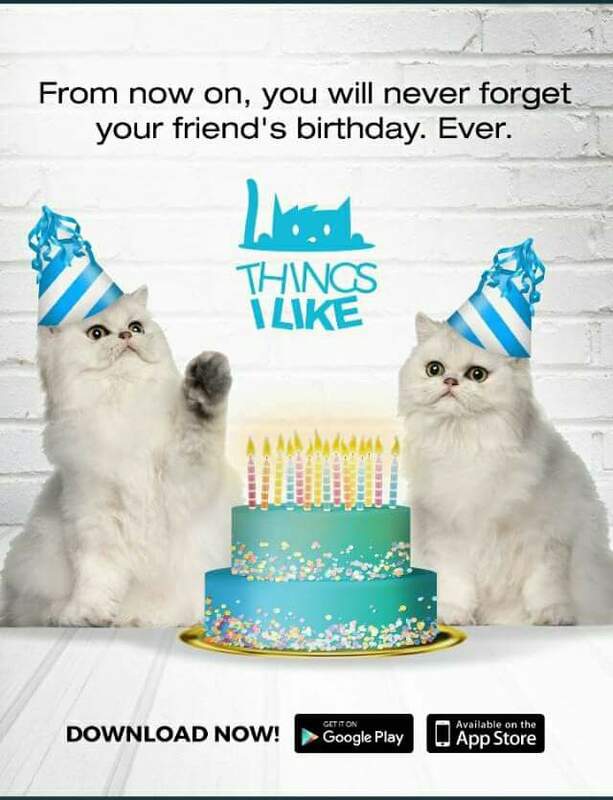 I hope so but if you really like to know more, go ahead and download the "Things I Like" App to be able to give you a hands on experience on how it works. Speaking of the the V7+ and Vivo’s V series, Vivo has also recently unveiled another new offering just this November: the Vivo V7. The Vivo V7 promises to be a powerful shooter with an all screen display. Practically much like its predecessor the V7+ albeit with a more affordable price tag, V7 has 24MP clearer selfie camera, and an all screen 5.7-inch display. 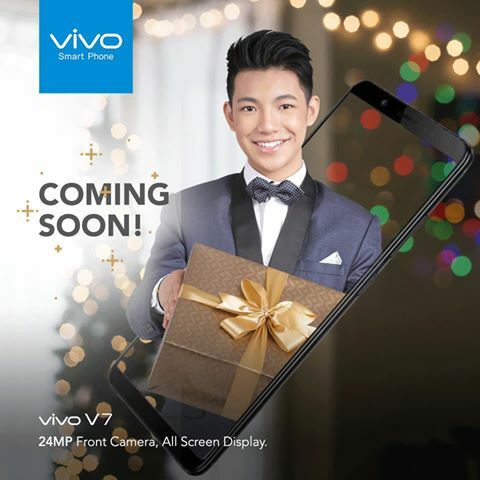 The V7 is the result of Vivo’s on-going effort in understanding the needs of today’s young people, as the company continues its growth trajectory and international expansion by providing stylish and dynamic products to more consumers to show off their individuality and capture memories that is worth remembering. I am sharing this because I love how Main stayed true to herself. Love you Meng. Hi! You might be wondering what this letter is about. Ako din, I am wondering what this letter is going to be about. I do not actually know how to start writing this letter; and I do not actually know either if it is right to do this. All I know for sure is I need to let some things out of my chest. And I couldn’t find any other way to do it so I am writing here on my blog, like I used to. Bago ang lahat gusto ko muna magpasalamat sainyo. Sa lahat ng suporta at pagmamahal na ibinigay at ipinakita niyo sa amin. Sa mga bagay na isinakripisyo niyo alang-alang sa akin/aming dalawa ni Alden. At sa lahat ng iba niyo pang nagawa lalong-lalo na ang pagtulong niyo sa kapwa. Habang buhay akong magpapasalamat sa Diyos dahil dumating kayo sa buhay ko at nakilala ko kayo. Maraming salamat sa panahon at sa pagkakataon. By the end of this letter I am pretty sure majority of you are going to turn your backs on me and probably hate on me. Pero sabi nga nila, speak the truth even if your voice shakes. When I was new in the business, you all came to my life and loved me for exactly the way I am. Hindi ko kinailangang magpanggap para mahalin niyo. At nagpapasalamat ako dahil tinanggap at minahal niyo kung sino at ano ako bilang tao. Nagpapasalamat din ako sa Diyos siyempre dahil binigyan niya ako “kakayahan” at pagkakataon na magbigay ligaya sa iba. I honestly could not be more thankful for the gift of making people happy by just being myself. I believe that is a rarity here in the world of show business, but I am really thankful God had given me that some kind of knack. Maaaring wala nga akong talento pero masaya ako na nakakapagpasaya ako ng ilang mga tao. That’s more then enough for me. 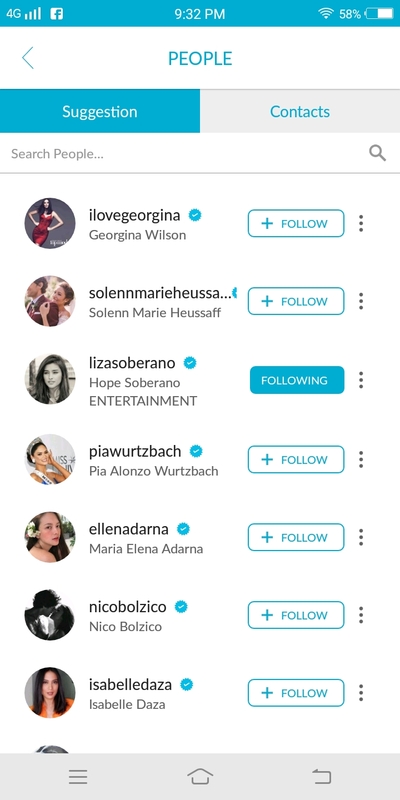 I used to be REALLY amazed by the support AlDub was getting back then. I was overwhelmed by all the attention and support you are giving us. AlDub Nation 2015, ang saya saya lang. When everyone was taking things lightly and we were all just so happy. Do you still remember the good ol’ days? Back when things are so not complicated? Still worth remembering up to this time. Two years later, a lot has changed but some things remained the same. Masaya pa din kayo. I can see how happy you guys are whenever you are all together. Iba yung saya niyo tuwing magkakasama kayo. Masasabi kong ibang klase yung pagkakaibigan at samahan na nabuo sa pagsuporta niyo sa amin. At hindi ako magsasawang ulit-ulitin na sana huwag mawala yan kahit ano pa ang mangyari. Marami kayong nagagawa hindi lang para sa amin ni Alden, kundi para na din sa iba. Marami kayong ibang natutulungan na mas higit na nangangailangan. At nagpapasalamat ako dahil ginagawa niyo yan ng kusa, dahil mayroon kayong busilak na kalooban. Salamat dahil ultimo kayo ay nakakapagpasaya din ng iba pang mga tao. I am grateful to have all of you who have walked this path with me. But I need to be honest, I am at this point where I feel like I live in a box. 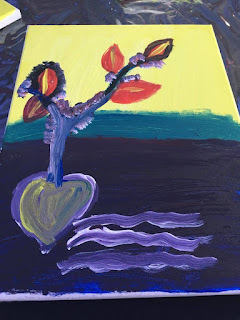 I have not been able to do what I want and say what I feel because every time I try to express my thoughts and feelings, some of you tend to misapprehend and invalidate them in so many ways. Telling me I am not supposed to feel that way because I am “rich and famous”. Telling me I have no right to be sad and hurt because I have everything a person could ask for. Judging, blaming and getting mad at me for expressing what I truly feel just because you do not agree and it is inconvenient for you. Dictating me what I should feel and should not feel. Ang hirap. Yung mga taong nagsasabi na wala akong dapat na maramdaman kundi kaligayahan kasi pinagpapala ako at dapat akong magpasalamat sakanila (at sakanila lang) dahil “wala naman ako kung wala sila”. Do not get me wrong, I am thankful for everything I have right now. And I have the Lord and the people who helped and supported me along the way to thank for that. I just could not take how some people feel so entitled in so many things, hindi lang sa career, ultimo personal na buhay. Minsan nga tinatanong ko ang sarili ko, sino ba talaga ang gumawa sa akin? 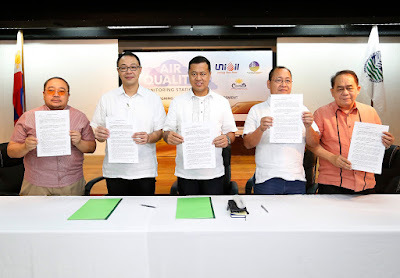 Ang Diyos ba o sila? 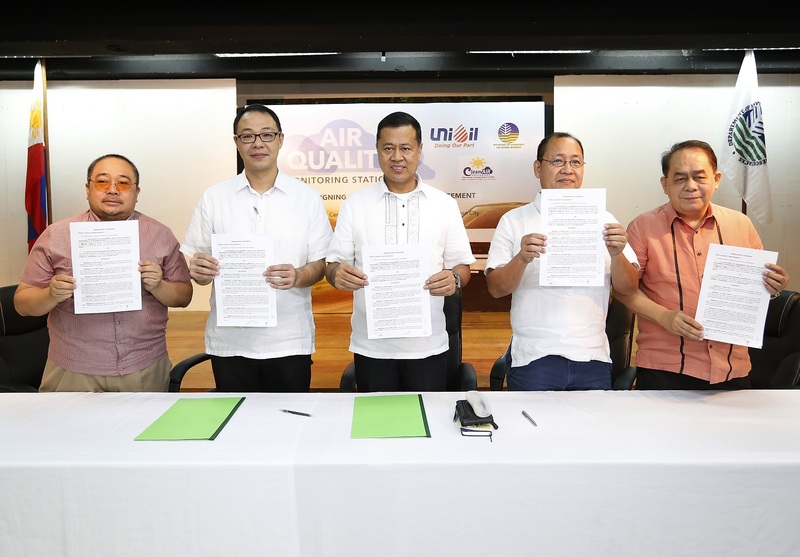 Pagmamay-ari ba nila buong pagkatao ko para diktahan ako sa halos lahat ng bagay? Bakit ganun? Ganun ba dapat kapag mahal mo yung tao? 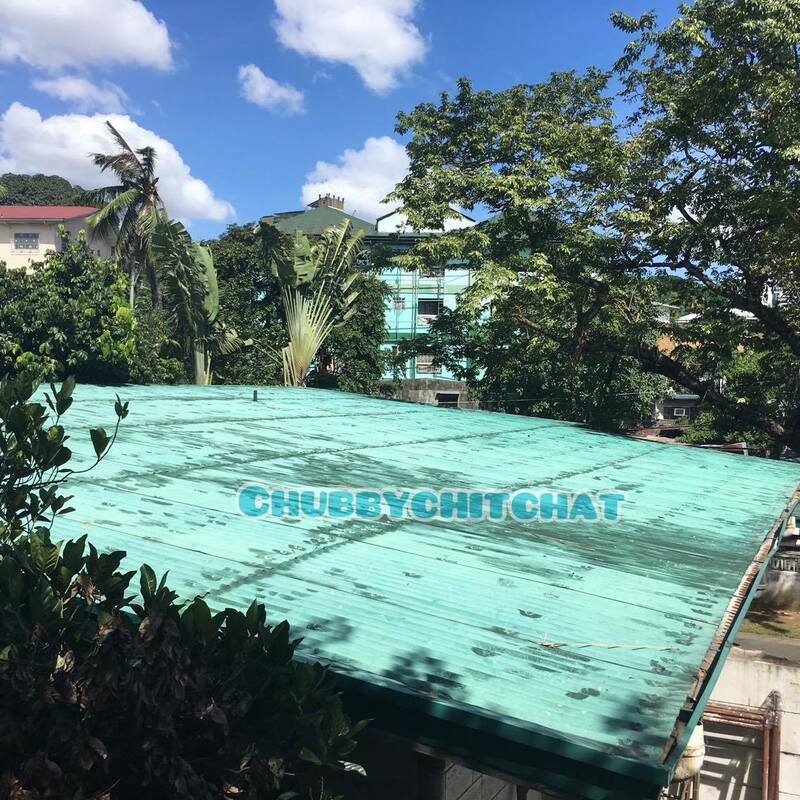 Susubukan mong kontrolin ng naaayon sa kagustuhan mo? Dahil tingin mo yun yung tama? Dahil tingin mo doon siya liligaya? Dumating yung araw na naramdaman ko na para bang hindi na ako masaya. Na kahit sandamakmak ang biyaya ang natatanggap ko, nawala na yung ligaya sa puso ko. Hindi ko na makita yung tuwa sa mga ngiti ko at kinang sa mga mata ko. Hanggang sa napagtanto ko na iyon pala ay dahil sa ilang mga tao na nakapaligid sa akin. Yung mga taong akala ko ay tunay na nagmamalasakit at nagmamahal sa akin. Mahirap. Nahihirapan akong dinidiktahan ng mga dapat kong gawin at maramdaman. Napagtanto ko na nakokompromiso na yung kalayaan at kaligayahan ko. At hindi ko kayang mamuhay ng ganoon. I want to be able to do what I want and what makes me happy because I believe that is how life should be. I do not want to compromise my own happiness for other people’s desires. So this time, I am choosing myself. Ako naman. When AlDub happened, everything escalated. My life changed drastically when Kalyeserye began. We’ve had blessings on top of blessings. Alden and I were given so much more than we could ask for. But more than anything, we will be forever thankful that God had given us people like you. People who support us in the things we do; those who always stood by our sides and defended us against judgments and criticisms; those who love us truthfully as a pair and as two different individuals; and those who never gave up. And for all the love and efforts you have given us, you deserve to know the truth that at this very moment Alden and I are just friends. We are a love team. I hope you understand that I am here because I love making people happy. I am blessed to be in Eat Bulaga because I get to do what I want to do, and I get to be with such amazing people. I was never into money or fame. All I want in this life is to be free and happy. And I am certain that no amount of fame and money can ever give me genuine happiness. All my life I have been seeking love from people around me. And that is all that matters to me at this moment. As I have said, as you finish reading this letter, a lot of you would probably turn your backs on me. I am ready for it; I knew this day would come. Even if I am left with a small number of supporters after posting this, kahit sampu lang yan, for as long as I know (and I feel) they truly love me and care for me, I’ll be fine. Or even if I am left with none, I have family and friends who love me dearly and will never leave my side whatever happens. Sapat na yun para sa akin. I also owe this to everyone who were dragged into this. Our families, friends, and workmates are being bashed and ridiculed by some. Kahit sinong madikit sa amin pinagiisipan at pinagsasalitaan ng hindi maganda. Basta hindi naaayon sa kagustuhan ang mga nakikita, nagagalit. It hurts me seeing them being hurt. It hurts me how some of you are so capable and so proud of throwing so much hate on others– especially on people who care about us. Family and friends outside the industry are being taken into the wrong context, even if they do not have anything to do with the issues thrown at us. Hiling ko ang ay sana bigyan natin sila ng respeto. Naiintindihan ko na pinoprotektahan niyo lang kami, at nagpapasalamat ako sa lahat ng ginagawa niyong pagtatanggol sa amin, pero sana maintindihan niyo din na hindi kailangan maliitin ang pagkatao ng iba. Hindi niyo sila kailangan tirahin ng masasamang salita, Alam kong karamihan ng pinagdadaanan ko ngayon ay parte ng mundong ginagalawan ko. But some things are really getting out of hand, kailangan na din natin ilagay sa wasto. But then again, I know, that at the end of the day, love wins over hate. I still believe, and I fervently hope, that the same love who brought all of us here together in the beginning, will heal all scars and unite us again. Let us not focus on those who judge, but to those who love without any hesitations and expectations. I am who I am right now because of that. Again, thank you very much for the love and support you have given me. I will forever cherish the presence of the whole fandom in my life. I do hope I have also given you enough joy for you to give me the freedom I believe I deserve. Freedom to feel what I want to feel, be what I want to be, and do what I want to do. 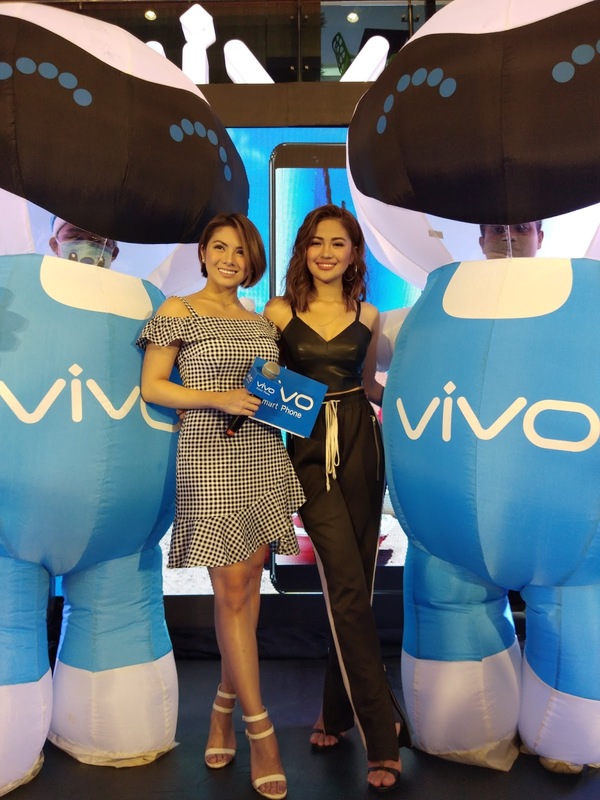 The Vivo V7 launch was a big success as it brought the topnotch brand closer to its audience with a grand unveiling last November 18 at the SM City Bacolod Event Center North Wing. The V7 launch was headlined by the hottest boy band in the country and Vivo celebrity influencer Boyband PH. Joao Constancia, Niel Murillo, Tristan Ramirez, Russell Reyes, Ford Valencia graced the stage with their upbeat performances at the much-anticipated launch of the latest pride from the global smartphone brand. 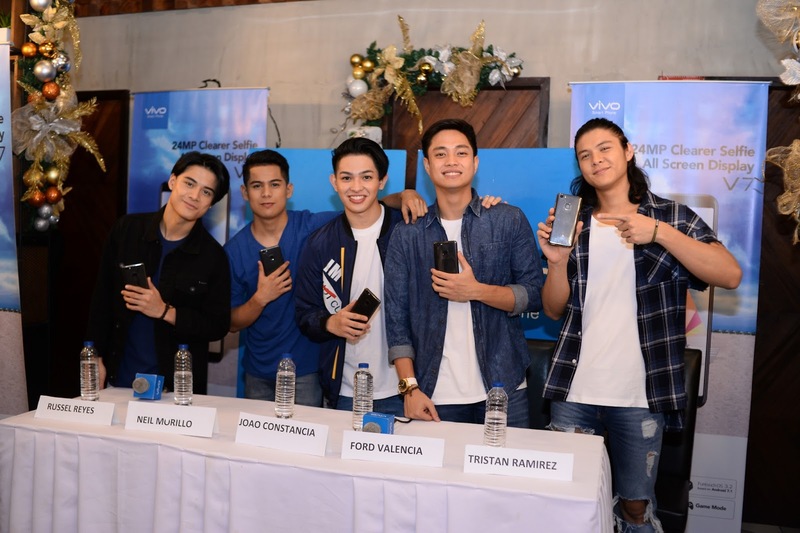 Prior to the grand launch, Boyband PH also joined local Bacolod media at the Vivo V7 press conference on the same day. When asked what their favorite feature is of the Vivo V7, Russel said it is definitely the 24MP front camera, “As a group we love to take group photos and the phone’s shot are really the best,” Russel explained. “And also HIFI audio of the phone as we love listening to music it has the best audio ever.” Boyband PH is grateful to be chosen by the brand to endorse their products and is happy to be a part of the Vivo Family. The Vivo V7 is the newest addition to the V series and is a powerful shooter with an all screen Display. Equipped with advanced technology including Vivo’s fingerprint 24MP front-facing camera and a 16MP rear-facing camera, this phone is known for its exceptional photography features, screen quality and the overall product design. 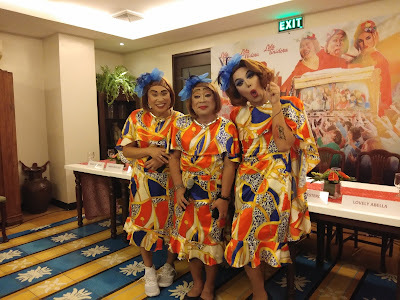 The Lola's of Eat Bulaga namely Lola Tidora, Lola Nidora and Lola Tinidora is all set to give laughter and horror in the big screen. 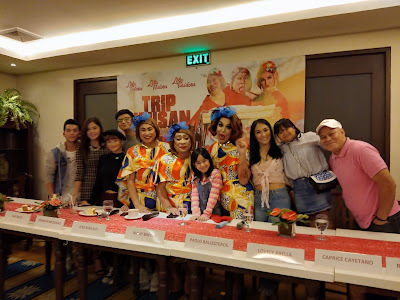 Last week a bloggers conference was held to give us a chance to get to know more about the upcoming movie of Jose Manalo, Wally Bayola and Paolo Ballesteros also known as JoWaPao. I was personally touched that the three Lola's came in fully made up and dressed up for their characters. I actually first thought that Trip Ubusan is a comedy film, but during the blogcon they cleared out that this was more of the horror side. People will surely want to watch the movie because the Lola's have different characters and we all love our Lolas. But behind the all the laughter and fun of creating this film, keeping and creating their looks is time consuming. Wally's make up takes about 2hrs to finish because they have to make him look tired because he portrays Lola Nidora as someone who talks and acts slow. Jose as Lola Tinidora says his make up is just done in an hour because he doesn't like too much on and at the same time his skin is sensitive (and everyone in the room had a good laugh). And finally the most glamorous of them all, Lola Tidora portrayed by Paolo Ballesteros. Because he has to maintain the glam of his character, he does his own make-up for four hours. A good 7 hours combined just for the make upof this movie. So are you excited to watch? Because I am! Trip Ubusan is showing on November 22 in cinemas nationwide. Trip Ubusan | The Lola's Are Out! 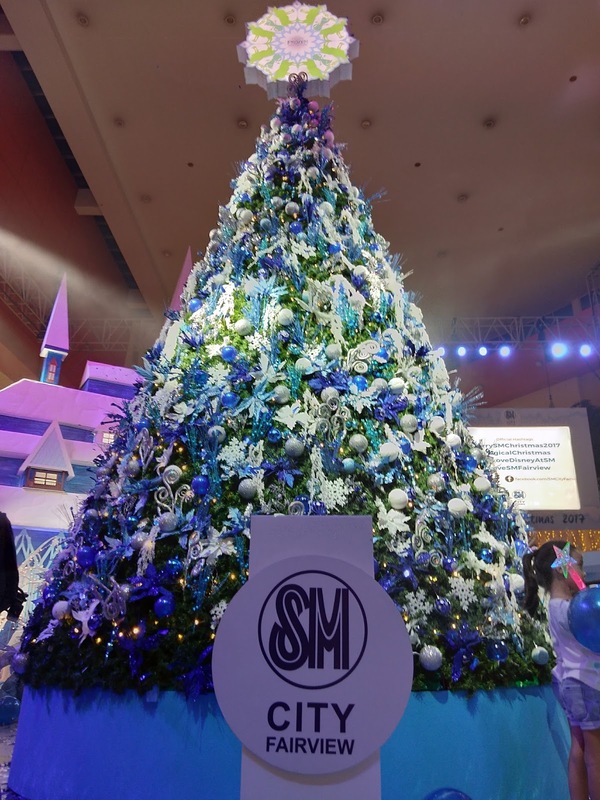 SM City Fairview joins in the Christmas fun spirit as they light up and introduce their theme. 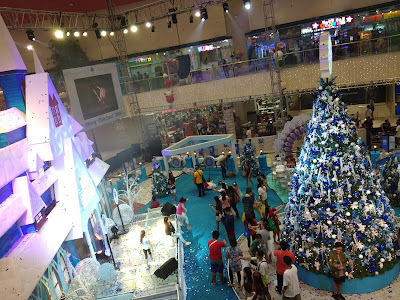 This year SM Malls has been simultaneously opening their malls' Christmas theme. Here in the Philippines Christmas is very well celebrated for our kids and SM had the perfect theme in mind. #WeLoveDisney search for this hashtag and you'll be lead to different SM Mall photos of cuteness and love for Disney. As for SM City Fairviews Disney theme? It's OLAF's Frozen Adventure! 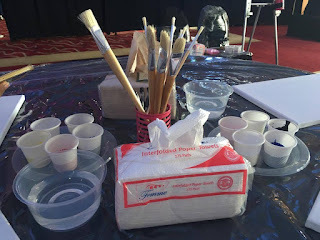 What a joy to see such setup created with so much passion and made me feel I am in Arendale. 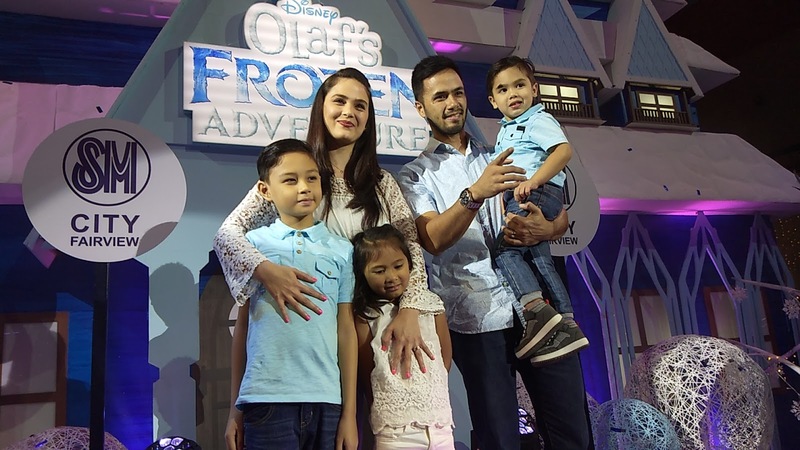 But that's not all, the event was graced by the very beautiful family of Oyo and Kristine Sotto with their lovely children. The V7 continues Vivo’s tradition of revolutionizing phone camra technology, by offering a new way to achieve the perfect selfie. The powerful 24MP camera, combined with Vivo’s exclusive Face Beauty algorithm, offers crystal-clear photos and natural facial enhancement. Portrait Mode allows you to take selfies with a beautiful blurred background. The front camera’s industry-leading 24MP sensor boasts a higher number of pixels, creating sharper, more distinctive selfies. The background remains clear at all times, with true-to-life color and contrast. Updated algorithms give your facial features better definition and add brightness to your selfies, while remaining natural-looking and authentic. V7’s beauty enhancer not only perfects your selfies, but can also be switched on whenever you use video chatting apps. Simply select your optimal facial beauty mode and prepare to dazzle all your contacts. When in a darker environment, the Selfie Softlight kicks in, offering flattering illumination. The 16MP rear camera sensor breathes life into your photos, and captures every detail with bright, ultra-sharp clarity. The super-fast focusing speed, powered by PDAF technology, helps you create beautifully clear images. With Ultra HD Photos, V7 shoots multiple frames in quick succession, and combines them into one 64MP shot with phenomenal definition and detail. With V7’s Portrait Mode, you really stand out in your selfies. Portrait Mode adds background blurring for sharper contrast, just like using a large aperture focus with a DSLR camera. V7’s revolutionary All Screen Display offers a groundbreaking visual experience. With an immersive screen and smaller bezels, it’s a work of art that feels great in the palm of your hand. Thanks to V7’s All Screen Display, you can enjoy the portability and comfort of a 5.2-inch screen phone, with all the benefits of an immersive 5.7-inch screen. V7’s impressive screen-to-body ratio of 83.6%, plus narrow bezels, make it stand out from the crowd. The future-focused design breaks conventions to bring you remarkable visual impact on your smart phone. The slim body features a slight curve, designed to slide perfectly into your hand. Nano sand coating and new reflective antenna lines add texture and aesthetic appeal. V7 runs on a 64-bit octa-core Qualcomm processor. Its 1.8GHz frequency offers 20% more power than previous generation processors, for a smoother, speedier performance. Run multiple applications with a powerful 4GB RAM, and switch seamlessly between complex games, social media apps and more. Fun should never be restricted. The 32GB storage can easily be expanded to 256GB, letting you pack even more movies and music on to your V7, to enjoy whenever and wherever you like. Additionally, Funtouch OS 3.2, based on Android 7.1, offers a more exciting, smarter user experience. Vivo takes pride in developing inspirational, customer-focused features and the latest V7 is packed with several, including Smart Split 3.0, App Clone and Face Access. Vivo’s new Face Access scans multiple areas of the face, and unlocks after identifying the biological facial features. This combines with our Raise to Wake technology to make unlocking your phone totally effortless – just pick up the phone to wake the screen, and Face Access will start immediately to unlock it. Multi-tasking is easy with the upgraded Smart Split 3.0. If a text message comes in while you’re watching a video, simply click to split the screen in two. You can also simply slide three fingers down the screen to run other applications in split screen mode without pausing your video. The product pictures shown are for reference only, the images shown on the display screen are simulated, and for demonstration purposes only. Please take actual products as standard. Christmas is merely a month away and the best way to show one’s loved ones how much they matter is to gift them with a smartphone that is reasonably priced but abounds with above par features. But wait before you settle that Christmas list! 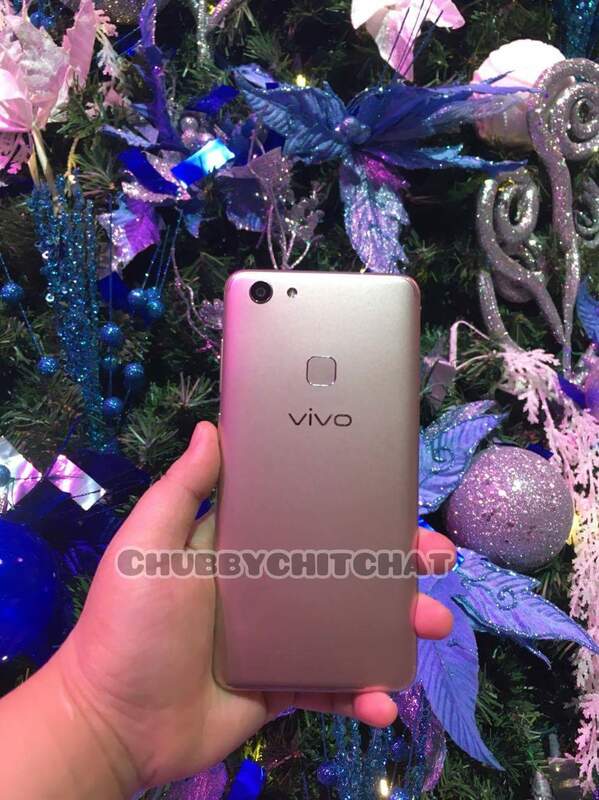 Vivo is launching, in just a few days, a new selfie-centric smartphone which would surely bring about all the holiday cheers as a present unwrapped by a loved one this Christmas season. Vivo, a leading global smartphone brand known for its stylish and dynamic products with above par camera capabilities and high-quality audio for the young and hip selfie-centric generation, just recently celebrated the successful launch of Vivo V7+, a smartphone that boasts of a 24MP clearer selfie camera. Vivo’s line of innovative smartphones fulfills the brand’s mission of empowering self-expression of the next generation. 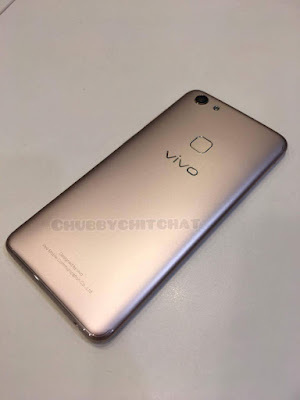 Vivo fans are always in for a delightful surprise with each and every of their product launch and the brand’s newest smartphone to unveil in a few days will, no doubt, will be a delightful surprise to all smartphone fans everywhere. Stay tuned as Vivo again wows the smartphone and technology enthusiasts this Christmas with another top-of-the-line smartphone to make selfie-centric experience a knockout. Vivo is about to launch a new selfie-centric smartphone. Time to do your wish list! Famed American writer and essayist Flannery O’Connor wrote a short story titled “Everything that Rises Must Converge.” It is a story reflective of the times. It was written when integration was a new concept not every American was willing to accept. It is a story of going beyond what society expects, of stripping away pretensions and prejudices, of acceptance of change. 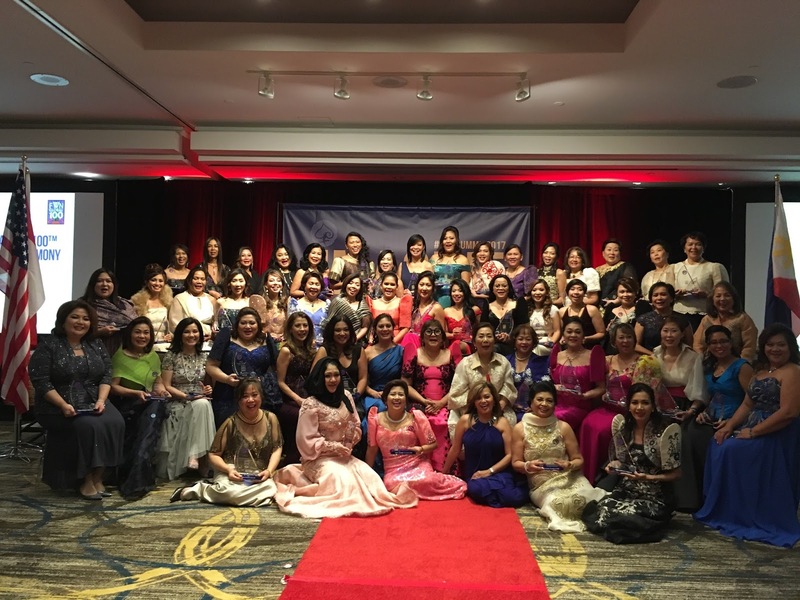 Age Defying Solutions founder and CEO Aiza Diuco believes that women should help each other rise by sharing their skills and know-how, by mentoring, and volunteering their time to ensure that every woman is given a chance to have a better future. She recently founded The Glupa Women’s Club, a club by women for women. The young CEO will kick off the club’s activities with a series of talks and workshops aimed to help women in the metro and beyond harness the female power. She sees the club as a civic organization and a way of giving back to the community which has been very good to her. Ms. Diuco is no stranger to hardships. She has shared with the writer the struggles she had to face when she first started in the beauty industry - from giving up a lifestyle to which she had grown accustomed to picking up the pieces of her shattered life. Ms. Diuco is grateful for her education, her work experience, and love for research. 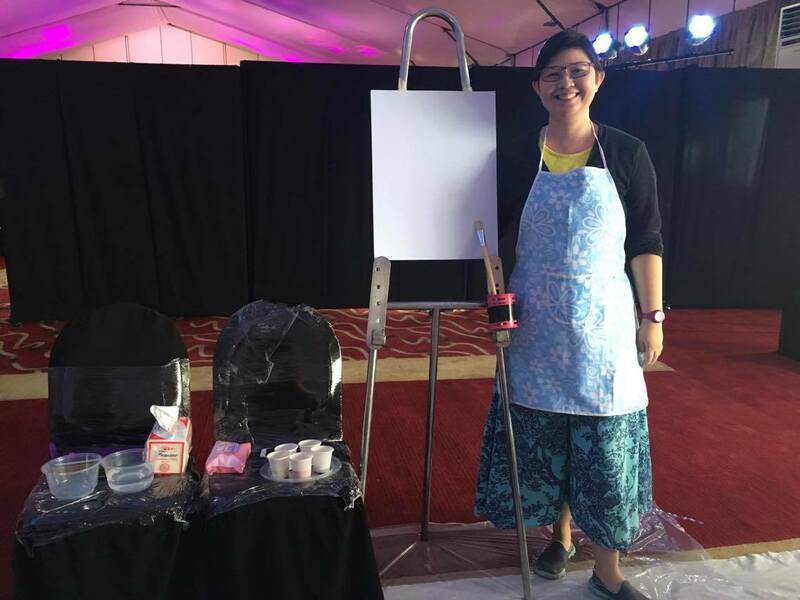 Because of these, she was able to realize her life’s biggest dream – to start her own business. Some might dismiss her success and underestimate the amount of hard work she has put into making her company grow. They might even say she was already rich to begin with, and that her father probably gave her the money to start her company. 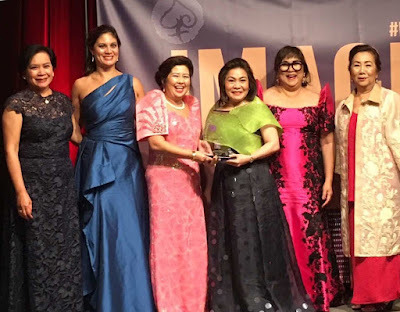 While she is grateful for the love and support of her family, Ms. Diuco can proudly say that Age Defying Solutions is the result of her hard work. It was a backyard business which has grown exponentially over the years, thanks to her stellar stewardship and the amazing people she works with. Let me introduce to you Jelai Espino a 15 year old who wants to be an artist. She lives to sing, dance and act. Jelai was introduced to us via a bloggers conference held a few days ago, we were given a cd with her as the front cover with a song entitled "Huwag Mong Biruin" composed by no other than Mr. Vehnee Saturno. Throughout the blogcon, I learned that she is a Taylor Swift fan and also loves K-pop but when asked any local or OPM influence, she has none. It was kinda surprising to hear but at least she was honest. 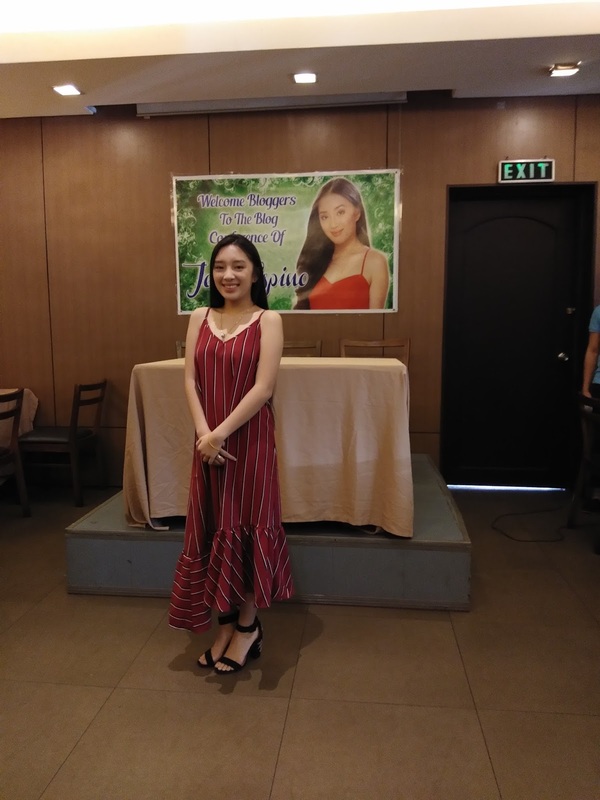 In terms of acting, Jelai would like to venture into drama, she really wants to cry in front of the camera and mentioned Daniel Padilla and James Reid whom she wants to work with in the future. 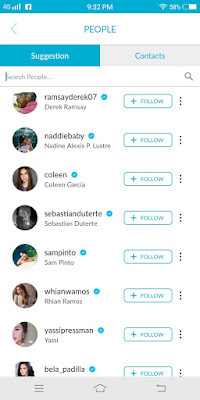 Her ultimate dream si to work with the Star for All Seasons, Ms Vilma Santos, it doesn't matter what role will be given to her, she just wants to actually meet Gov Vi. My first impressions of Jelai, she is shy and lacks confidence (she admits to this). Because she has a single, we asked for a sample but she declined saying that her throat wasn't feeling well. We also asked for a dance sample and again was declined. I believe part of the reasons was her shyness. I hope she improves on this because as a performer, she will be often asked to do a song or dance number on impromtu. Jelai could also improve her knowledge in the local showbiz world, she will be meeting a lot artists and to not be able to identify them is a no-no. And lastly. I hope she dress up her age or improve on her look, after all she is young and pretty so dressing up appropriately will improve her self confidence (it seems she wasn't comfortable with what she was wearing or is it just me? Lol!). I believe Jelai can be someone someday, in an industry such as showbiz, entering may be tough but staying in is a whole new story. Goodluck Jelai and I hope to see you soon on the big screen or in an album launch. As part of this year’s celebration of the Gifted Awareness Month, PROMIL® Four, in partnership with the Philippine Center for Gifted Education (PCGE), conducted a Learning Workshop, that features expert speakers in the field of Developmental Pediatrics, Clinical Psychology, Obstetrics, Health & Wellness, Arts, and Nutrition, recently at the Sofitel Philippines Plaza Manila in Pasay City. Both Ken and Barbie were loveable on cam. Ken looks the matinee, kayumanggi pinoy boy next door while Barbie is so flawless and had cute outfits. Acting wise, they were very natural and kinda made me feel they were just my friends. Casting was good but there were scenes that I personally think was not necessary. I love Jai and I know she is naturally funny together with her twin. But in the movie there were lines that I know should’ve made us laugh or giggle but I didn’t. 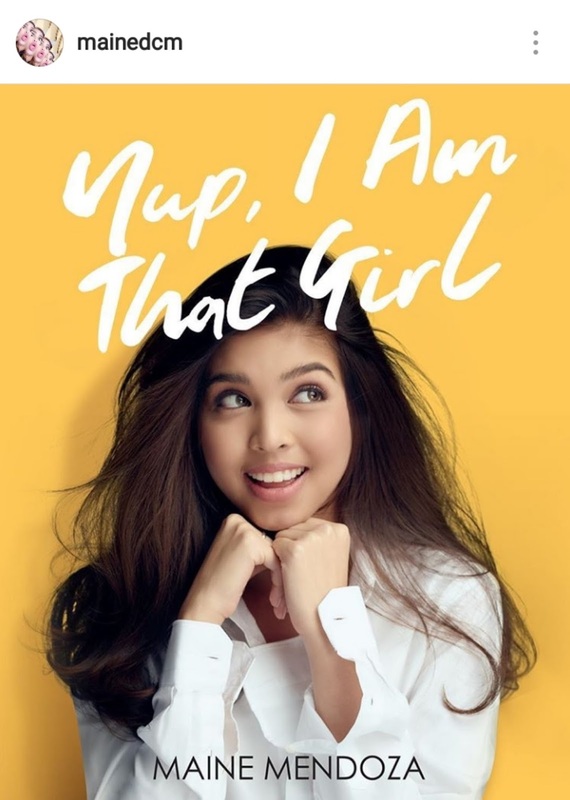 Finally the ending, (spoiler alert) it was okay but for me when Barbie said the line “Gusto kong umoo… ayaw ko magpdala sa emotion… parang wala akong natutunan.” I was expecting that it was a “NO” and then fast forward to 2 years after and then the “YES”. Why? To show that true love waits and that they both carried a lesson from their mistakes. 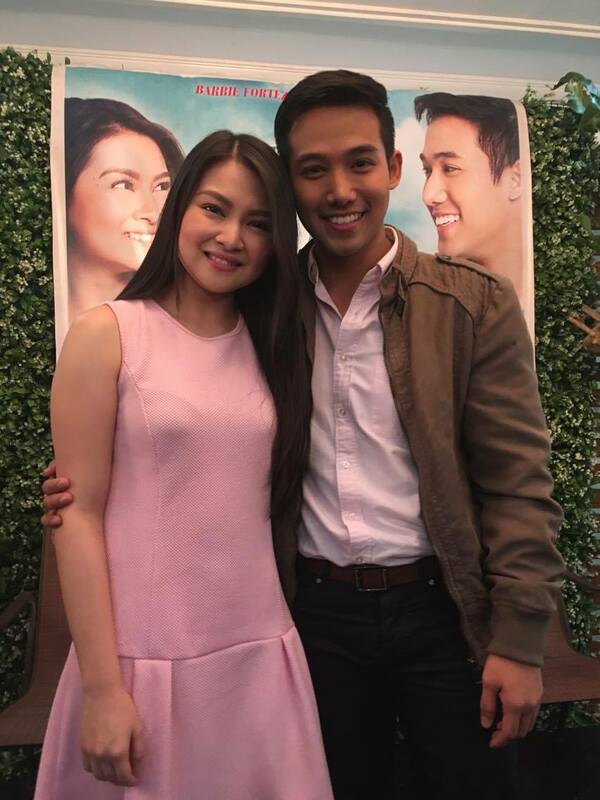 Nevertheless the two achieved the “Kilig Factor” and really registered beautifully on screen. Congratulations to the whole cast and crew, to Regal Films for another good movie! Cheers! This Time I'll Be Sweeter Now Showing! Living Water celebrates 13 years in the Water Treatment Industry. And along with the celebration, they are unveiling their newest endorser. 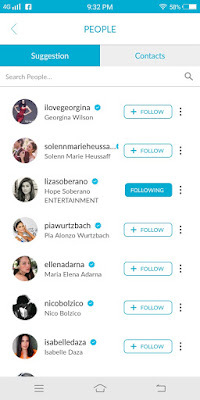 Living water is known to have had the best endorsers like Anne Curtis and Sarah Geronimo. This time, the new endorser bears the tagline being Brighter, Better and Wiser... The ultimate heartthrob and leading man; Mr Piolo Pascual. He was chosen among the best showbiz personalities because like Living Water, they ensure to provide the best customer service and after sales support, quality products and services and High End — State of the Art Machines. An award-winning chef, emblazoned with his admirable skills & great knowledge in culinary, is now hailed as F1 Hotel Manila’s new executive chef, Angelo Chubby Timban. Chef Angelo, earned his magnificent skills from some of the industry’s largest names, such as Resorts World Manila, Discovery Suites, Shangri-La Boracay, Traders Hotel, and Manila Pavilion. With his astonishing experience, he is now more than prepared to showcase his marevelous talent in the central business district of the metro, Bonifacio Global City. 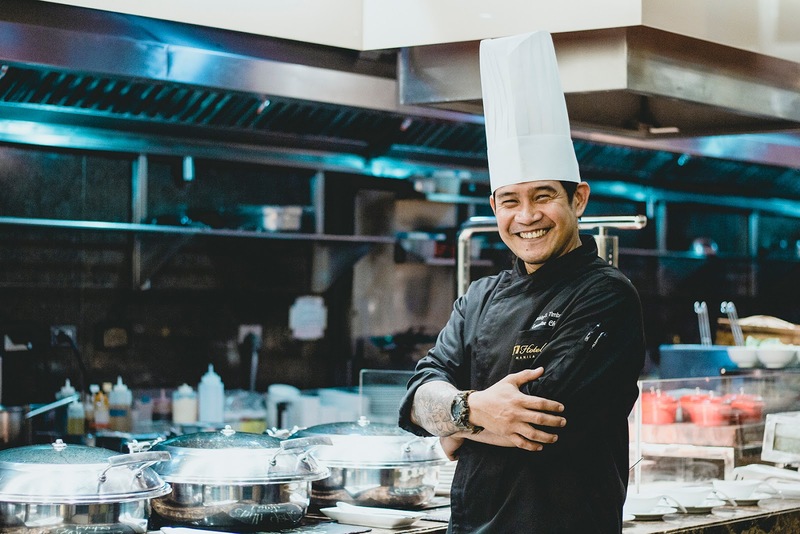 Formally appointed as the Executive Chef of F1 Hotel Manila, Chef Angelo will lead all the hotel’s kitchen operations, from F All-Day Dining (the hotel’s main restaurant), Canary Lounge (the hotel’s bar), and to all the banquet and social events. 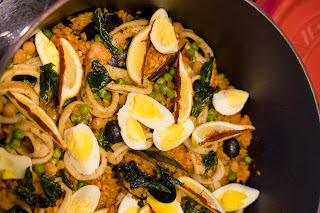 Chef Angelo has been exposed to culinary competitions and exhibitions for years, which makes him accustomed to bag awards as a product of his amazing skills. In accordance to this, Chef Angelo participated the World Food Expo from 2003 upto 2010. 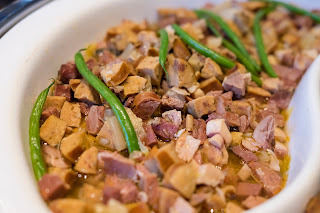 He also snatched the golden award for Philippine Culinary Cup 2014, and continued to gain honors in National Food Showdown 2014 as Silver Awardee for Chefs War Regional, not mentioning all the awards he gained years prior. Aside from his talents in culinary, Chef Angelo takes out his time to other activities. Who would have known that a tough-looking guy like him is fond of Bonsai culturing? No doubt Chef Angelo has incorporated his creativity in cooking with bonsai breeding, which reflects to his great perspective in arts. F1 Hotel Manila shall expect more delightful and flavorful dining experience as Chef Angelo takes on to local and international cuisine, with a modern twist on the country’s gastronomic traditions. Some of Chef Angelo’s signature recipes are Prawns with Charred Leek Mousse, Shitake Mushroom Gratin, Ika Sumi Maki, and more selection of dishes to look forward to. Experience this whole new culinary adventure with Chef Angelo Chubby Timban by visiting F1 Hotel Manila. For inquiries, call 908-7888 or visit f1hotelmanila.com. The loveteam came out as a surprise chemistry between the two coming from the “Meant To Be” teleserye. Admittedly both are really good friends that is why it wasn’t very hard for them to work together. No pressure and chill, that is how they describe their loveteam, they are just being themselves. The movie is about second chances, or so it seems. In love, how many chances can one give to someone who has hurt them yet loves them truly. Let’s get to know some answers as the movie opens on November 8 in cinemas nationwide. Brought to us by Regal Films and directed by Joel Lamangan. Getting promos usually means catching expos and patiently waiting for announcement on discount releases. 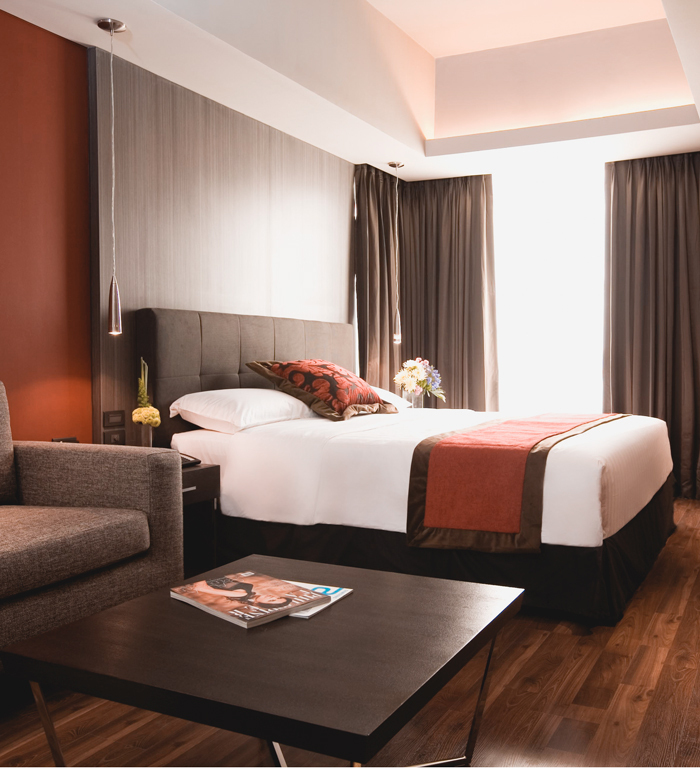 Worry no more as F1 Hotel Manila makes it easier for everyone with their new Hot Deals feature in their website. F1 Hotel Manila launched its new website facet, the Hot Deals, as its main hub for hotel promotion and discounted packages. By visiting hotdeals.f1hotelmanila.com, guests will be greeted with a list of exciting treats the hotel has to offer – from room accommodations, food & drinks discounts, function room packages, and hottest activities and events. Avail more than what you spend by getting the deals for both F All-Day Dining and Canary Lounge deals. 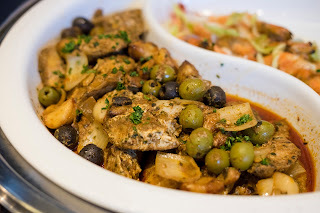 These offers slashed off almost 60% of their original prices for a la carte dishes and drinks, which makes it more enjoyable for a whole dining experience. Indulging into a relaxing staycation isn’t always about spending extravagantly. F1 Hotel Manila offers in the Accommodation Category both Fort Suite and the Superior Room, which are suited for a cosmopolitan lifestyle. Feasting on grand celebrations will be less of a hassle with F1 Hot Deals. The feature showcases dedicated high-quality service and amenities for banquet occasion, reducing the price up to 50% off for either 30 or 50 attendees. 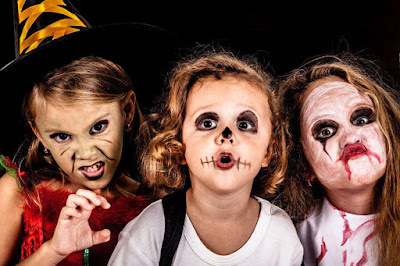 Other fascinating deals could be availed such as discounts on Halloween Trick or Treat Party, as well as pampering and wellness services for Spa. Great packages are just one click away by visiting hotdeals.f1hotelmanila.com. To learn more, you may call 908-7888.